I can see why this film captured the hearts of the 2000 jury. 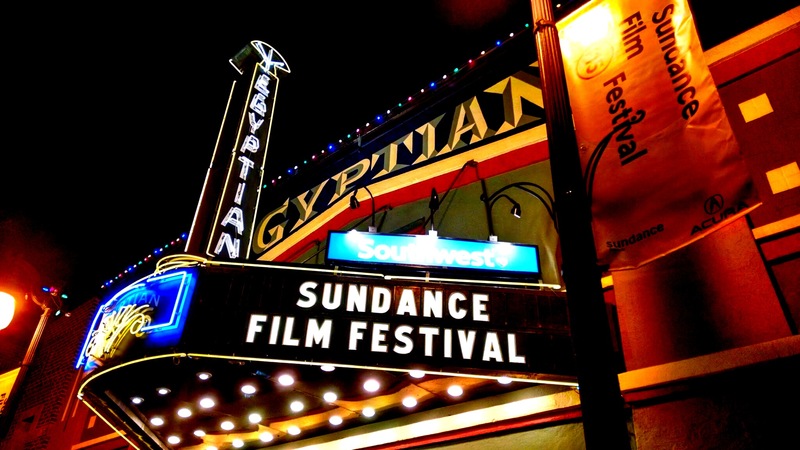 It’s a movie imbued with the Sundance ethos––a low-budget, indie film by a new director that tells a story that doesn’t often get depicted in Hollywood. In her very first acting role, Michelle Rodriguez stars as teen Diana Guzman, an outsider who lives in working class Brooklyn with her single dad and brother. 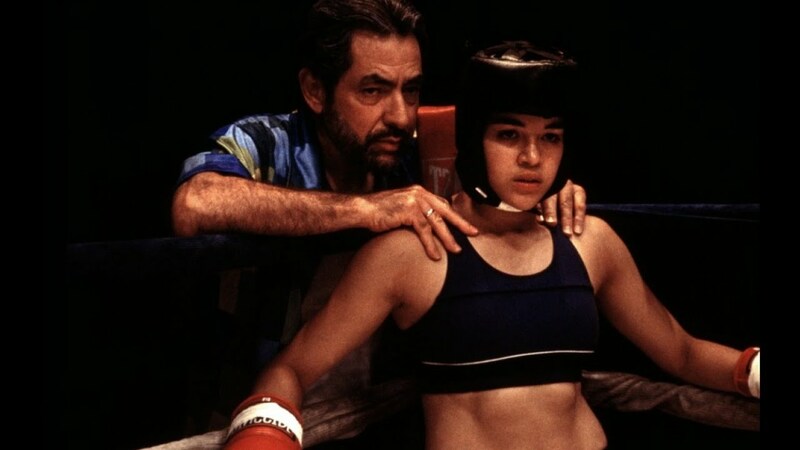 She discovers a natural love for boxing, and despite her traditional father’s objections and a skeptical coach, she doggedly pursues her unorthodox dream. The story arc is not overly surprising and hits familiar beats as Diana deals with mean girls at school, retrograde gender expectations, and eventually a romance with cute-boy boxer Adrian, who has to choose between our heroine and a girly girl rival. Although nothing too surprising occurs, it’s a comfortable film with a fresh update of a somewhat stale genre. There is a nice surprise twist on the tension between a boxer’s love life and the demands of their sport. Michelle Rodriguez’s strong presence stands out and makes an impression on the viewer, helping this film distinguish itself from other low-budget efforts with similar stories to tell. Girlfight was also the debut of director Karyn Kusama, whose latest (very enjoyable) film Destroyer is currently in theaters and heading to Scarecrow later this year. Starring Nicole Kidman, it’s a louder movie with a much bigger budget than Ms. Kusama’s quiet personal debut film. 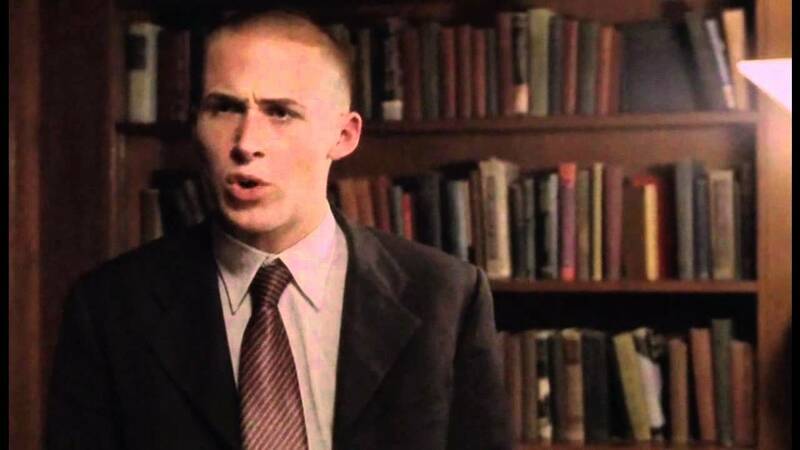 My next screening featured another young breakout performer––a “pre-meme” Ryan Gosling. Not yet a supernova heart throb, he had done some TV work and supporting roles in films before this Sundance winner which I believe was his first lead role in film. Gosling stars as Danny Balint, a neo-Nazi who lives in New York and enjoys terrorizing random Jewish people and participating in BS sessions about racial superiority in both high and low fascist society. We soon learn that Danny is secretly Jewish himself, raised and educated in a traditional Jewish community. As if this set-up weren’t contrived enough already, any hope I had that the overly-provocative premise might still lead to a competent film was very quickly dashed. Logical fallacies abounded. The script was atrocious and most of the acting non-convincing, in particular the fascist think-tank-generator-wannabe Curtis, played by Billy Zane. Flashbacks looked cheap and melodramatic. Most importantly, we never learned the essential answer to the question of *why* Danny became a neo-Nazi. He had a crisis of faith as a young student, but somehow instead of just secularizing, he apparently became so self-hating that he crossed over to the dark side? This was woefully unexplored. Perusing IMDb, I was astonished to see what movies the jury passed over in order to honor The Believer. History has not been kind to the jurors that overlooked all-timers Hedwig and the Angry Inch, Memento and Donnie Darko! It’s amazing enough that those three movies were all in the same Sundance lineup, but that they all lost to this mess truly boggles the mind. I guess I could recommend this title if you enjoy hate-watching awful movies or watching a shiftless Ryan Gosling working out in his home gym. But a better movie on this theme would be American History X (1998). Shown from the point of view of young music student Andrew (Miles Tiller, who I think was in every scene), we follow an aspiring jazz drummer as he gets his chance to break out when he is promoted to the elite jazz band class taught by drill-sergeant/conductor Fletcher (J.K. Simmons in an Academy Award winning performance). Somehow I had never got around to this Damien Chazelle debut feature despite its reputation and despite being a fan of his next effort, La La Land. I think the premise felt so familiar (a young person pushed to the limit by an overbearing mentor) that it never felt urgent for me to revisit that story. But the film’s reputation is deserved and exceeded my expectations. I was impressed by the technical prowess exhibited by this young director in his first feature film. Despite the familiar story territory, Chazelle’s ability to edit together a taut and surprisingly suspenseful tale really kept me engaged throughout. The kinetic energy of drumming was a wise choice of instrument to give our hero and lent itself to a dynamic movie, giving the director the opportunity to show off some quick-paced editing and impressive sound mixing. He also benefited from wonderful performances by Teller and especially the terrifying Simmons (my niece assures me that musical school instructors––at least at the High School level––are not as mean in real life). 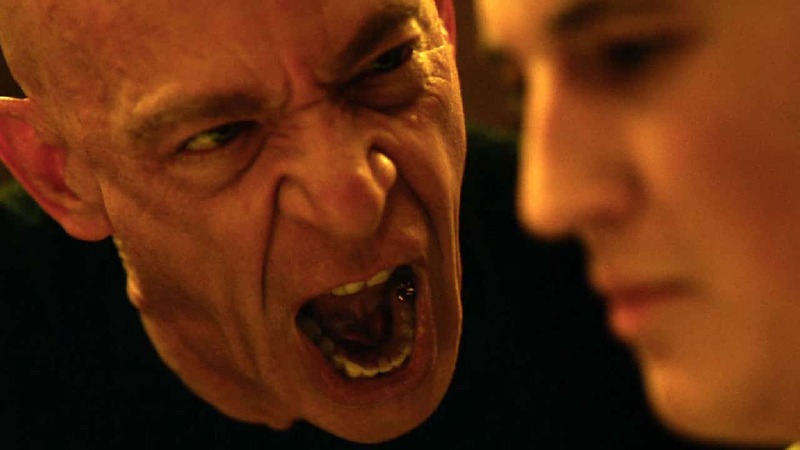 Chazelle’s accomplishment was put into even starker relief for me after viewing Whiplashalongside other Sundance winners by young directors. It’s easy to see why this movie is #44 on the IMDb movie rating list and gave young Chazelle a “blank check” to make his next (Oscar beloved) passion project. Troy Barber is a pediatrician who lives in San Francisco and enjoys frequent trips to Seattle for its natural beauty and Scarecrow Video. He’s a fan of Wong Kar-wai, RW Fassbinder, the Pet Shop Boys, coffee and crosswords. ← New Releases for January 29!